A federal judge dismissed a lawsuit that had aimed to halt construction of the light rail line between Prince George's and Montgomery counties. 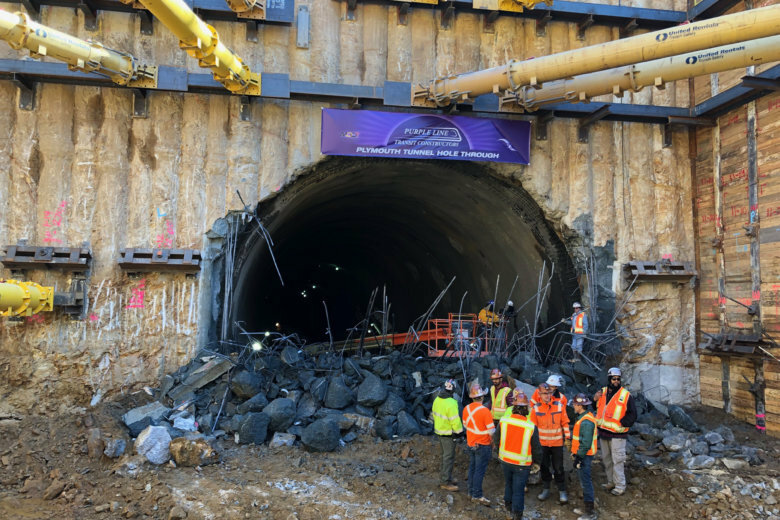 The Purple Line may have finally cleared years of legal hurdles, after a federal judge Tuesday dismissed a lawsuit that had aimed to halt construction. U.S. District Judge Richard Leon found the plaintiffs in the case did not have standing to sue. “Unfortunately for the plaintiffs, this second attempt to stop the Purple Line fares no better than their first,” Leon wrote. The decision can be appealed though. The U.S. Department of Transportation and the Maryland Department of Transportation had filed the motions to dismiss more than a year ago — on March 1, 2018. All briefs on the issue were filed by the end of April. Also on Tuesday, in the initial lawsuit filed in 2014, Leon rejected the plaintiff’s request for attorneys’ fees after more than eight months. That initial lawsuit is what delayed the Purple Line project after a 2016 ruling from Leon that was eventually overturned by an appeals court, which allowed construction to begin in 2017. The delay has raised questions about whether the Purple Line can be finished and open to riders in 2022.